Medical Secretary Jobs - Performs secretarial duties using specific knowledge of medical terminology and hospital, clinic, or laboratory procedures. Duties Medical Secretary may include scheduling appointments, billing patients, and compiling and recording medical charts, reports, and correspondence. Medical Secretary career is part of the Health Science cluster Health Informatics. Answers telephones and directs calls to appropriate staff. Schedules and confirms patient diagnostic appointments, surgeries, or medical consultations. Operates office equipment, such as voice mail messaging systems, and uses word processing, spreadsheet, or other software applications to prepare reports, invoices, financial statements, letters, case histories, or medical records. Maintains medical records, technical library, or correspondence files. Compiles and records medical charts, reports, or correspondence, using typewriter or personal computer. Greets visitors, determines purpose of visit, and directs them to appropriate staff. Receives and routes messages or documents, such as laboratory results, to appropriate staff. Transmits correspondence or medical records by mail, e-mail, or fax. Performs various clerical or administrative functions, such as ordering and maintaining an inventory of supplies. Interviews patients to complete documents, case histories, or forms, such as intake or insurance forms. You would sit most of the time. There's some walking and standing. You may have to lift and carry things like books, papers or tools weighing 10 lbs. or less. 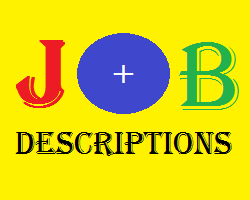 Dental Office Administrative Assistant - Performs administrative duties in a dental office. Health Information Coder - Gathers information from each patient record for coding under a special system used by hospitals and doctors' offices. Medical Administrative Assistant - Provides administrative assistance to trained medical staff where basic medical terminology, billing and coding, handing electronic medical records, HIPAA requirements as well as general customer service is needed. Medical Records Clerk - Compiles, verifies, types, and files medical records of hospital or other health care facility. Medical Terminologist - Has training in the vocabulary related to the anatomy of the human body and the diseases that affect various organ systems. Patient Services Representative - Helps patients understand the health services, procedures and policies available to them. Here's a list of skills used in this career that are also used in other careers. Workplace skills are practiced activities that help people become successful in all kinds of careers. Here's a list of the workplace skills that are used in Medical Secretary career. Belum ada Komentar untuk "Jobs Description of Medical Secretary"
Ayo Intip Jabatan Pekerjaan di Bank Yang Mungkin Belum Anda Ketahui Sebelumnya. Mempekerjakan Gen- Z: Seperti Apa Tenaga Kerja Masa Depan Anda?